Fire gave us power. Farming made us hungry for more. Money gave us purpose. Science made us deadly. This is the thrilling account of our extraordinary history – from insignificant apes to rulers of the world. 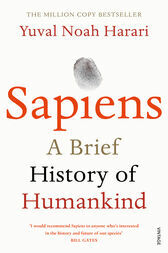 "I would recommend Sapiens to anyone who’s interested in the history and future of our species"